Apple's World Wide Developers Conference (WWDC) starts on Monday, June 4 and runs through June 8 in San Jose, CA. When Tim Cook and co take to the stage on June 4 10:00 am Pacific Time to start proceedings, some announcements will be a sure thing. While we may not see much in the way of hardware announcements, it's entirely possible that with the world's attention on Apple's Keynote we could see some things come in from left field, so here are our predictions of what to expect, mixed in with what we'd like to see. As a developer-centric event, Tim Cook will give a brief update on the size and reach of Apple's developer community and apps before getting into the meaty subjects. Approximately 5,000 developers attend WWDC to meet with hundreds of Apple engineers who present technical and design sessions covering all of Apple's four core platforms. You can watch the keynote event here on Monday June 4 at 10:00 PDT. 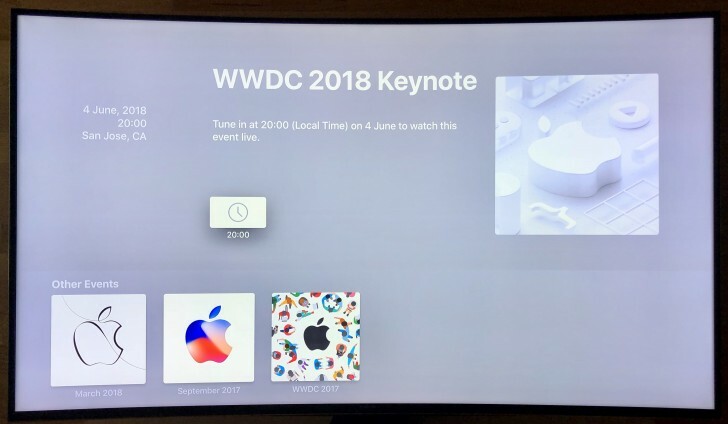 Additionally, for those of you with an Apple TV, you can watch via the Special Events app or via the WWDC app on iPhone and iPad. The WWDC Keynote is usually about 2 hours long, so we have a great deal to go through. So grab a coffee and let's kick off, we've added some quick links below to help you on your journey. As always, we'll be covering the event here at GSMArena so be sure to check back for all the latest announcements from Apple. Sure things - These are a given so let's get them out the way early. We expect to see new and refined emoji and Animoji, Battery Health will leave its Beta status behind, new wallpapers and support for 2018’s yet to be announced iPhone’s and iPad Pro’s (we'll come to that one in a bit). Time to take stock - It's not easy being Apple or for that matter any major tech player. The weight of the expectations on Apple to innovate from users, shareholders and analysts alike are palpable. Objectively, iOS is now over ten years old and introducing feature after feature has diminished the integrity of iOS. While not fragile, we witness far too many UI, performance, battery, and stability issues. During our recent long-term reviews of the iPhone X and iPhone 8 Plus we identified several issues that take the shine off iOS, they can be viewed here and here respectively. Our overriding desire is that Apple pulls back on feature overload and invested a good proportion of its development efforts on resolving known issues. This would also be the time to modify its development and release approach to ease the burden placed on its engineers by having smaller releases to smooth out the peaks and troughs would result in a higher quality delivered. We may even see this new approach manifest itself with the release of iOS 12. We can take solace in the fact that this isn’t unprecedented for Apple, it took a similar approach with macOS in the past by throttling back on the user-facing features and focusing on optimizing the core operating system. Homescreen - We're generous when we say that the last change in functionality to the Homescreen was the introduction of 3D Touch introduced with the iPhone 6s/6s Plus. The Homescreen on the iPhone and iPad is a better fit for a Fisher-Price toy than a high-end smart device. We'd like to see greater flexibility when arranging our Home Screens by moving icons and leaving empty spaces wherever you want. We'd also like to add widgets from the Today View on the Home Screen. Finishing off, how about a Siri widget similar to the Siri watch face in watchOS 4 that intelligently updates to show relevant content throughout the day? This has to be balanced with battery life considerations, of course. If Apple did redesign the Homescreen, there's an outside chance that Themes and Icon packs' support will also be added. While you may agree this isn't very Apple, we were surprised when the updated Messages app included stickers, apps, and screen effects so never say never. Notifications - Having accepted that the Notifications screen now looks like the Lock screen (still not 100% sold with that one), we’d like to see additional options to group Notifications by app in addition to time and day. Also, we'd like to see Messages notifications provide the same granularity as Mail, to set custom settings for our VIP's. Control Center - After many iterations of Control Center, Apple nailed it with iOS 11 - at least on the iPhone. Everything is on one page, with 3D touch being used to significant effect and it can be customized. We'd like to see Apple allow even greater customization of the Control Center in addition to some new controls. Providing developers with an API, similar to widgets so that they can add their Controls would be the icing on the cake. Many of us aren't enamored with the functionality of controlling the radios where it doesn't turn them off completely within Control Center - Apple may change this but let's wait and see. Parental Controls - Earlier this year Apple responded to calls from investors that it's looking into the public-health crisis concerning young children and smartphone addiction. In a similar vein to Google's recently announced Digital Wellbeing for Android, we’re optimistic that we’ll see the first signs of Apple's response manifest itself in iOS 12. In addition to being able to see what apps are consuming our time, enhanced Parental Controls similar to those within macOS, at both a system and app level would be a great start. Improved iPhone X gestures - Accessing the Control Center and Notifications on the iPhone X requires readjusting your hand in order for your thumb to reach. Pulling down from the middle of the screen on the right or left, while initially showing Spotlight search, could show Control Center and Notifications respectively if you continue pulling down. Making this customizable would top this feature off. Enhanced NFC Functionality - With iOS 11 we saw CoreNFC, which allowed developers to access an iPhone's NFC chip, albeit in an extremely limited fashion. Within iOS 12 we expect this to be built up allowing greater control of the NFC chip. Making it accessible to apps running in the background would result in a superior customer experience. Hey Siri ameliorate - Introduced in 2011 alongside the iPhone 4S, Siri squandered its lead, being caught and then overtaken by its digital assistant peers from Google and Amazon. Apple's approach to privacy is often cited as a cause for this situation, but we'll avoid getting drawn into a 'how we got here' piece. What is a given though, is that Siri has to improve alongside other iOS AI Features. We'd like to see Siri developed outside of OS updates to evolve at the speed it needs to. SmartCam - Using Machine Learning to automatically identify scenes and objects to capture the best possible picture is a major USP in the smartphone landscape. iOS 11 iterated upon the stock camera app by being able to automatically recognize QR codes including but not limited to joining wireless networks, adding contacts to your phone or navigating to websites. It's likely that Apple will build this out with iOS 12. Digging around in past firmware releases revealed the inclusion of a technology called 'SmartCam' which also detailed a number of scenes. This may actually may be part of iOS 11 today supporting the QR recognition. One of the scenes 'FigSmartCamSceneQR' is included within the framework so Apple may have soft launched with iOS 11. Additional scenes within the framework include fireworks, foliage, pet, point light sources, sky, snow, and sport. 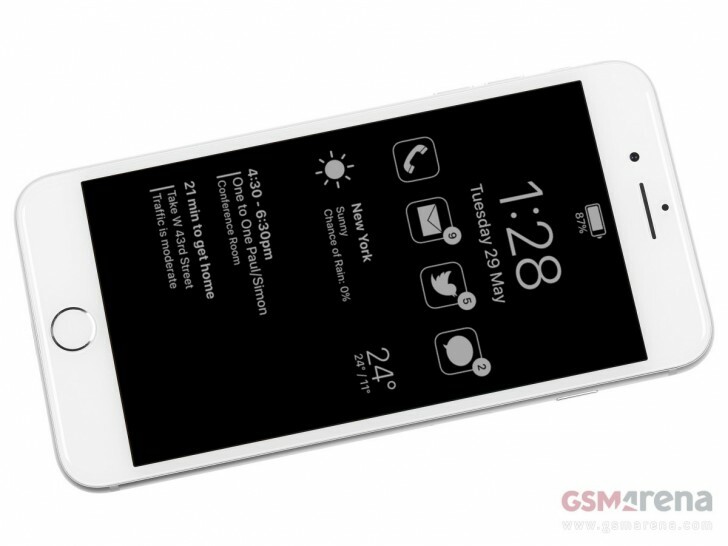 It's probable that this functionality will be unveiled under the Siri banner. We'd like to see this intelligence applied to the Photos app providing better segregation of our images, that often consists of photos of receipts, business cards, notes and so on. Dark Mode - With OLED screen technology, the fewer pixels you light up, the lower the battery draw. YouTube’s dark theme has proven to increase the battery life on the iPhone X, and with expectations of a second OLED iPhone model joining the iPhone X2 (whatever designation it ends up with) then we expect this to be a sure thing. For those of us who prefer a dark color scheme at night, dark and light modes could be time-based - a la AppleTV. Always on display - Optionally, providing the ability to see customizable information at a glance, negating the need to touch your iPhone. In addition to the date/time, weather, battery status and notifications info, this could be supplemented by the Siri view as mentioned above that intelligently updates to show relevant content throughout the day. Our concept pictured below gives you a flavor of how this could look. Battery saved by a dark theme could be spent on always on display. ARKit 2.0 - Expect Apple to build upon its Augmented Reality platform at WWDC with the addition of multi-player AR gaming. Additionally, it's rumored that we'll get to drop objects in VR and for them to remain in place, either via Bluetooth connectivity or long term placement of objects via possible iCloud integration. 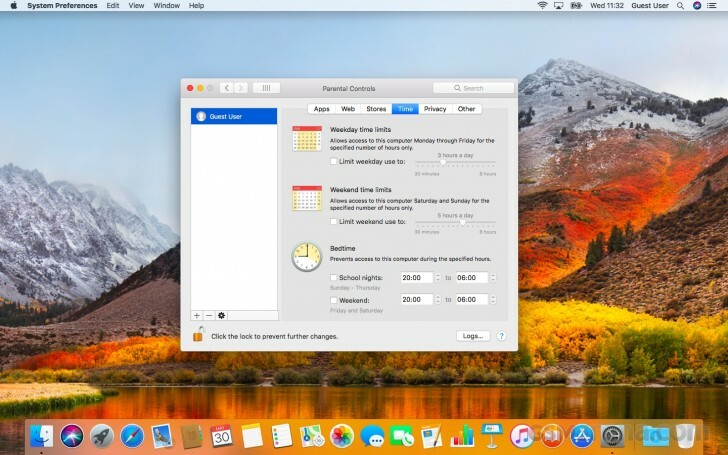 Default apps - While you can effectively remove some of Apple's default apps, we'd like to be able to replace the default apps with our own choices. For instance, choose Spotify as a default music app so that you can ask Siri to play you a song. Could also work for getting navigation directions in Google Maps and not Apple Maps. Group Facetime - Remember Apple's iChat A/V app? Version 2 introduced waaaay back in 2004 as part of OS X 10.4 provided high-quality multi-user video and audio conferencing. Some of us here are old enough to have used this extensively and await its return. 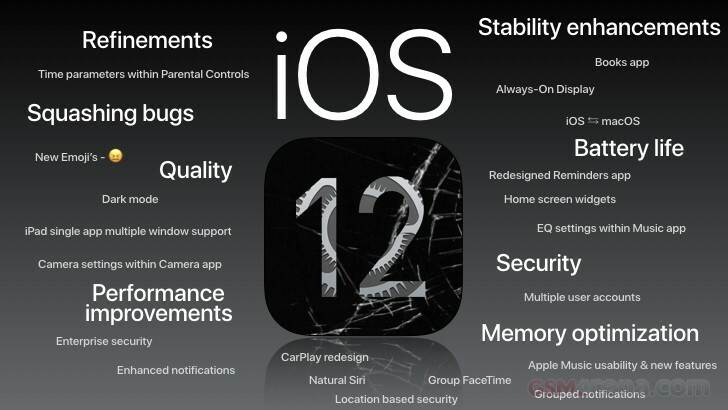 Rumored to be on Apple's roadmap, iOS 12 could see FaceTime group video conferencing and audio conferencing join the party - iOS 11's introduction of HEVC (technically H.265) for video has paved the way for this. Due to screen real-estate, we may see the number of participants vary dependent on device. Grouped in with when hell freezes over, how about launching Messages and FaceTime for Android, Apple? App Settings - For some core apps, we'd like to see specific settings configurable from within the apps themselves. At least they could have put a 1080p/4K selector in the camera app. It’s counterproductive when taking a photo to have to leave the Camera app and go into Settings>Camera to toggle the Grid, change Video formats and frame rates and to toggle Auto HDR. The same applies for the equalizer for music and video. While we’re on the subject, we’d like to see a dynamic equalizer that remembers our preferences dependent on the headphones being used or the Genre of music being listened to. iPad - With iOS 11, Apple further enhanced the iPad's user interface to better support the use cases for this device. With iOS 12 we’d like to see this taken even further. The new multi-tasking UI and drag and drop are great additions which we’d like to see joined by single app multi-window support across more apps when working with multiple documents. Oh, and while you're at it, Apple - split-screen for iPhone, please! Universal Apps - Apple has reportedly been working on Universal Apps that will allow developers to create apps that can run on iPhone, iPad, and Mac. This would be great for many categories of apps, like for example, Fitness trackers. Undoubtedly while WWDC would be the place to announce this feature and subsequently educate developers, it's more than likely we'll have to wait for another year, but we'll be happy to be proven wrong. 64-bit apps - Since the release of macOS 10.13.4, we have been shown a one-time alert upon launching 32-bits apps. The technologies that define today's Mac experience - such as metal graphics acceleration work only with 64-bit apps. We expect the transition from 32-bit to 64-bit will be rounded off by Apple announcing that macOS 10.14 will support 64-bit apps only. "Hey Siri" - ability to use Siri without having to use the keyboard shortcut, in addition to improving Siri's capabilities. Today & Notification view - In a similar vein to iOS 12, allow Notifications to be grouped by apps in addition to time/day. The UI could also do with a make-over introducing elements for iOS, for example, Control Center shortcuts. 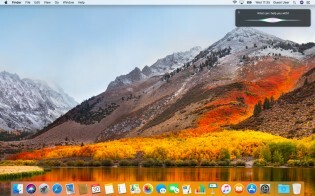 APFS support for Fusion Drives - Apple's Fusion Drives combine flash storage with a hard drive, with the aim to provide SSD speeds at regular HD prices. APFS replaced HFS+ across all of Apple's devices, including iPhones and iPads providing a modern fast 64-bit architecture, optimized for flash technology while offering built-in encryption. 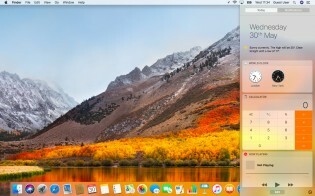 Apple HomeKit - We'd like to see macOS 10.14 introduce the Home app to macOS. 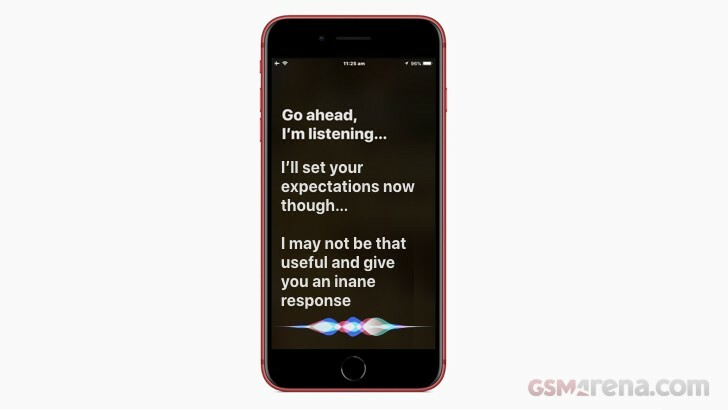 Along with the ability to set-up and control devices we'd like to see its reach expanded to include Siri for voice control and control within the Today screen - ensuring our appliances are just a swipe away. AirPlay 2 - macOS doesn't support AirPlay 2 yet. We expect to see AirPlay 2 support added into the core macOS. Group Facetime - we've already covered this in our look at iOS 12. FaceID - Apple introduced Touch ID alongside it's revamped MacBook Pro's in 2016. If a new MacBook Pro is launched at this years WWDC expect to see FaceID on at least the high-end MacBook Pro models. Arguably FaceID is better suited for this category of devices. Watch Faces - Of course, its killer app is being able to tell the time - supplemented by complications. While we expect Apple to provide a couple of new watch faces, it's long overdue in providing the ability for developers to create their own watchfaces. Always on display - While we wait for Micro-LED screens with their battery-sipping properties, it's possible that Apple could utilize the Apple Watch's OLED screen to provide a monochromatic always on display. Configurable by the user so we can pick their poison. Auto Unlock your iDevice - With Auto Unlock, you can automatically unlock your mac without having to enter a password if your Apple Watch is near and attached to a wrist. We'd like to see this extended to include iPhone and iPad. Siri Watchface - Introduced with watchOS 4, the Siri watchface intelligently updates to show relevant content throughout the day. We'd like to see this built upon allowing developers to introduce their content into the Siri watch face. For example, an Uber update before the meeting for my lift. Dropping support for watchOS 1 apps - watchOS 4.3.1 introduced a new alert when launching original watchOS 1 WatchKit apps. It's highly expected that support for watchOS 1 apps will be dropped entirely within watchOS 5. These original apps were slow and relied solely on a Bluetooth connection with your iPhone to function so the time is right to banish these apps into the ether. Slightly more troubling for Apple is that it has to reverse the trend of developers dropping Apple Watch apps entirely, often citing high development costs and a small user base (certainly when compared to iOS). Podcast support - for some, Podcast are made for the gym. We'd like to see Apple introduce Podcast support alongside the ability to stream podcasts. Improved fitness tracking - Part of Apple Watch's success is attributable to Apple's pivot into the fitness arena. WatchOS 4 built this out further, and we expect Apple to introduce additional fitness capabilities and metrics. We expect a weight-training/strength workout to be included for the first time with the possibility of automatic rep/set counting. We'd like to see multi-sport events introduced, such as triathlon. While this can be recorded currently, it's far too clunky to manually change to the next workout type. Compared to other multi-sport watches, the Apple Watch's lack of GPS indicator is puzzling. We'd like to see this added in watchOS 5. While we're on the subject of GPS we need the time taken to obtain a GPS lock reduced from the current 2-3 minutes - this may be hardware related, inefficient GPS cache or slow handing off of assisted GPS from a nearby phone to its internal GPS. Control Center - Over its short life, Apple has seen what sticks when it comes to the user interface on our wrists. WatchOS 4 is the best iteration yet with its revised Control Center - we'd like to see this customizable to gain absolute control of what appears in it similarly to iOS 11. Inbuilt Sleep Tracking - Last but not least is the ability to track your sleep and provide stats on its quality. Of course, battery life is the major showstopper as the majority have to charge their watch overnight. This has been rumored to be under development by Apple across all versions of the Apple Watch, but we expect this to come into its own when battery life takes a step change. Content & Services - Apple's Eddy Cue has been bolstering its video team over recent years to support its creation of original content. Apple's exclusive content is currently limited, residing on Apple Music and covering but a few genres, 'Planet of the Apps' (Reality TV), 'Carpool Karaoke' (Comedy), 'The 1989 World Tour (Live)' (Concert Film) 'The Beautiful & Damned' (Drama) and a handful of Documentaries. Once Apple's new content is ready and plentiful enough we expect Apple to create its channel that forms part of the TV app. There's an outside chance it'll announce this at WWDC. HomeKit - The current method of controlling HomeKit devices on the Apple TV is via Siri. 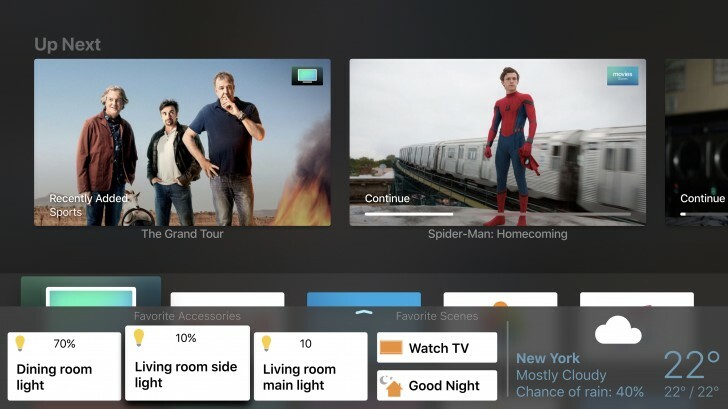 We would like to see Apple take this to its logical conclusion and bolster this by introducing the Home app to the Apple TV for the first time, enabling configuration and control of HomeKit accessories outside of Siri. In isolation though, having to always switch to a separate app would be counter-intuitive in certain circumstances - for example, just started watching a movie and you want to adjust your lighting. Currently, during content playback, swiping down shows the Info panel. We'd like to see Apple introduce the equivalent of iOS's Control Center, accessed by swiping up when playing back content or by pressing the 'menu' button twice to provide quick access to favorite HomeKit accessories and Scenes; this view could be combined with the Weather widget for example. Siri - In our review of the Apple TV 4K, we noted Siri's lack of consistency between tvOS and iOS. When asking Siri to 'show me photos of New York' on our iPhone, you're presented with all the pics geo-tagged from New York. However, ask her on the Apple TV, and she won't cooperate. Apple need to ensure that Siri interacts with us as a single entity, combining information and capabilities from all of its platforms. Dolby Atmos support - promised and overdue. Picture-in-picture/split screen - We're surprised that this hasn't made an appearance yet in tvOS as arguably it's best suited for this category of device. A bigger question would be how to manipulate this with the Siri remote with its limited buttons/functions. FaceTime - Yep, we know the Apple TV hardware doesn't include a video camera or microphone, but opening up the USB-C port to support such a device would be a welcome if improbable new feature. Instead, FaceTime for Apple TV could remotely access your iPhone camera and microphone. While this can be partly achieved through screen mirroring, it's clunky. Notifications - We'd like to see Apple introduce enhanced notifications from your accounts. In this regard, the Apple TV is no different to the Apple Watch, you wouldn't use it to write an email, but instead triage your notifications and dig out your iPhone, iPad or another device if you need to respond. Controlled by a DO NOT DISTURB feature would be the icing on the cake. Of late, we've been hearing a number of rumors regarding the possible launch of a successor to the iPhone SE. Will Apple adopt the same cost-effective approach it took with the recently introduced 9.7" iPad and maintain its appearance while updating the internals only, or will it go all out and present a larger 'notched' display with Face ID? If we were betting men, We'd wager the former. We regularly debate this here at GSMArena towers, and there's an outside chance this will be announced at WWDC. Last year at WWDC '17 Apple launched revised iPad Pro's, with the notable highlight being the all-new 10.5" model with reduced bezels. There is a high likelihood that we'll see the next generation this time. While the update will be formulaic, we predict a couple of notable exceptions. By using the iPhone X camera's, the front-facing camera could be upgraded to 12 MP (f/2.4, 52mm), a significant increase. We expect the iPad Pro to be the next product range in Apple's line-up to adopt FaceID, leading to an all-around redesign due to the space saved by removing Touch ID. What could surprise us though is the placement of FaceID and associated tech due to how we use our tablets. Using our tablets in a landscape orientation more often, specifically for FaceTime, could result in Apple positioning the camera system along the 'long side' of the tablet, which is an optimum position for landscape use. It's highly likely that both iPad Pro models will carry the same displays as last years models, but Apple could throw us a curve ball by introducing a 4K display on it's larger iPad Pro - we're holding our breath on that one. No significant surprises here as the latest redesign is still relatively fresh, controversial butter-fly keyboard and all. As a minimum, we expect Apple to bump up to Intel’s eighth-generation Core processors. While there's an outside chance that Apple will introduce FaceID, this would require a redesign of the Touch Bar on the MacBook Pro to remove Touch ID which could be too early in the products life-cycle to consider. Praised for its sound quality and quality microphone array, following its HomePod Firmware 11.4 update, HomePod is now AirPlay 2-compatible and can now be paired with a second HomePod for true stereo sound. Siri also got slightly smarter having gained access to your calendar for the first time. We're confident that we'll see a new variant of the existing HomePad announced that comes with a matte finish as opposed to the glossy finishes on today's current HomePods. Additionally, expect to see, or more correctly, hear a new Siri voice. We wouldn't be surprised if it was rolled out across all platforms. For HomePod to remain relevant, and avoid going the way of the Apple iPod Hi-Fi, Apple has to compete with Google and Amazon on both price and features in addition to other Bluetooth speaker manufactures. Enter the BeatsPod. Recent rumors have indicated Apple will bring Siri to a more cost-effective speaker under the Beats branding, which it owns. The current Beats Pill+ is battery-powered so expect BeatsPod (our given moniker) to be mains-powered allowing for an always listening Siri. Taking this to its logical conclusion, Apple needs an ExpressPod (replacing a subset of functionality within its now discontinued AirPort Express) in its armory to compete with Google's Home Mini, and Amazons echo dot. This will further lower the cost of purchase as we get to BTOS (bring their own speakers). Without sounding like a broken record, having the appropriate range of hardware is only half of the equation. Siri has to get smarter, combining a greater variety of capabilities linked with true multi-user support. We're not expecting any hardware-related announcements, apart from the new HomePod colorway, but we expect Apple to introduce improvements to Siri for its smart speaker. Long overdue, having been announced with the current generation of iPhones way back in September '17, Apple may use WWDC as the public announcement that this product is finally shipping. 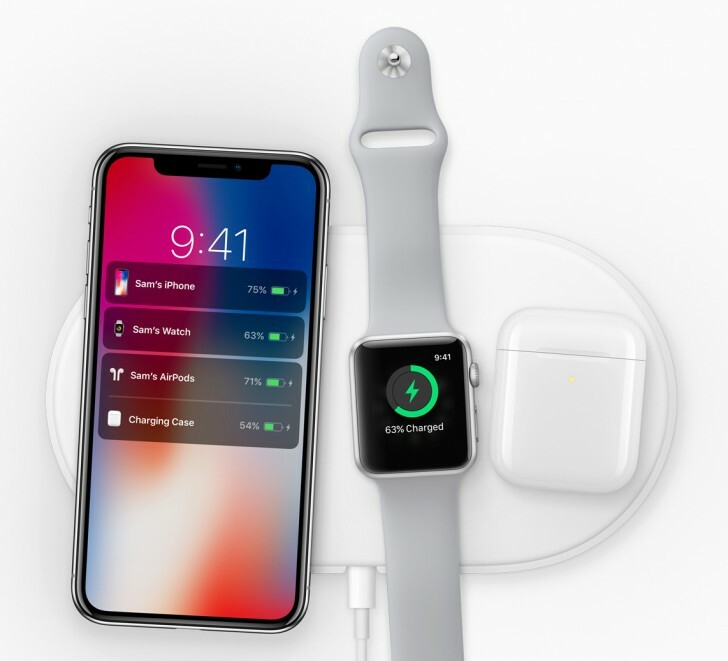 In addition to giving us our first look at the software integration between iPhone, AirPods and Apple Watch indicating the battery charging status between all devices. This would also coincide with the launch of the wireless charging case for AirPods along with a new SKU for AirPods that include the wireless charging case. The likelihood of this happening though is very slim as it's not really WWDC material. Free storage tier - Apple offers 5GB of free iCloud storage which is used for everything from your Photos and Videos, documents, contacts, and back-ups. 5GB is diddly-squat for one device, let alone multiple devices. From a business perspective, yes you want to demonstrate your wares while wanting consumers to upgrade, but 5GB is just plain cheap. OK, rant over - we'd like to see Apple up the free storage tier to at least 10GB while offering lifetime free storage for optimized videos and photos. We'd also like to see a new 1TB storage tier, sitting between the 200GB and 2TB levels. User interface - iCloud drive and Files on iOS would benefit from a design refresh while adding additional functionality. One that springs to mind is the ability to limit certain videos and photos from being shared across devices and the cloud. Many a celebrity will breathe a sigh of relief at this one - if you catch my drift. Sharing - While possible today, it's clunky and can't be compared to the likes of Dropbox. We'd like to see an easier way to share files and whole folders from within iCloud as a start. iCloud Family sharing - One of the taglines for iCloud Family sharing is 'All your family’s purchases on all your family’s devices'. There is, however, no way to 'stream' a purchased iTunes movie on another family member's device, without downloading it first. Streaming needs to be added for other family members. Well beyond its years, iTunes carries its legacy music focus like a heavy back-pack. We'd love to see Apple completely rethink its strategy here. This article is already lengthy, so we won't go into much detail, suffice to say that introducing a TV app for macOS would be a start. Mac Pro - we know Apple is working on a replacement for its Mac Pro. In the new Apple fashion, it would be highly appropriate to show its developer audience a sneak peek at this new model at WWDC and reveal more information regarding its specs. Mac mini - Having achieved cult status among Apple diehards and much beloved by owners (this author ran a tricked out Mac Mini for several years), it's improbable that Apple will be launching a replacement anytime soon. iMac - Following the recent launch of the iMac Pro, we expect Apple to bump up the iMac to Intel’s eighth-generation Core processors and not much else. One thing that keeps niggling is moving between a MacBook Pro with its Touch Bar and a desktop without Touch Bar, the inconsistent user experience jars. It's not a major engineering feat for Apple to release a Magic Keyboard equipped with its OLED Touch Bar. While welcome, we're not holding our breath on this. AirPods 2 are a foregone conclusion given the success of the current AirPods, but upon reflection we don't feel we see these launched at WWDC. Outside of a variant that includes the AirPower-compatible wireless charging case, we'd be surprised if they didn't add 'Hey Siri' support. Based on the number of people we see wearing AirPods for sport we expect Apple to be at least considering the implications of making these sweat-resistant. Additional improvements may also lead to a slightly longer battery life. Given the investment Apple made in the team and processes involved in creating the HomePod, we firmly believe the rumors that Apple is considering launching Apple-branded headphones. EarPods anyone? Combining the best from its HomePod team and Beats could leave Apple with another winner on its hands. Unlikely to be seen at WWDC though. Here's one from left field. It's being speculated that Apple is investigating an ARM-based notebook. Following the launch of Apple's A11 Bionic SoC we witnessed performance that matched or exceeded some of Apple's notebook offerings. So it's no surprise that Apple wants to be in control of its destiny - without relying upon Intel's processor release schedule. What we don't know is whether a MacBook powered by an Apple-designed A series variant running macOS, or a new iOS-based touchscreen laptop form factor (think iPad Pro & keyboard Combo) is in the works. Alternatively, all the speculation could be merely that. Phew, made it, as always, thanks for reading. Anything we've missed or what do you think will be announced at WWDC? Please sound off in the comments section with your wishlist for WWDC. I saw the keynote to the end. There were no fails this time. Memoji looks cute! Maybe I'll make a screenie and show you my memoji!